This article from Scientific American continues on about the the history of processed food. But this type of “processed food” isn’t what I’m concerned about. We process our food simply by cooking it, but sometimes that makes it more easily digestible so we can actually get the nutrients for our bodies. What I’m more concerned about is the addition of artificial ingredients, chemicals made in labs, colorings, preservatives extending the shelf lives of these packaged fast foods to far beyond what even looks like something from nature. It’s these type of processed foods that I’m going to focus on. So, for the purposes of this post I define processed food as: any food that has been created in the lab that cannot be created at home. Salt, sugar, salt, sugar! Did you know that the majority of our sodium intake isn’t from table salt? It really stems from consuming high amounts of processed food because sodium is a big additive in the food industry as both a way to add flavor and preserve food. Check out those food packages kids, how many mg of sodium is in that? Sugar is also the #1 additive by weight in the US. Scary, isn’t it? You may not even realize how much sugar you’re consuming on a daily basis, particularly from your beverages. 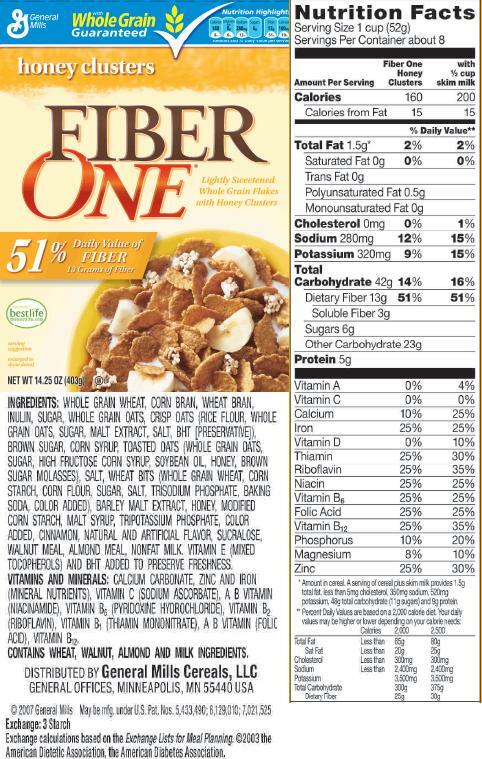 Sugar’s sneaky, and while I believe indulging is necessary every now and again, sugar popping up in processed foods from breakfast cereals to flavored yogurts is deceptive. Especially for our young ones. Those additives and preservatives are not natural things your body knows how to digest efficiently. Your body thrives off of real food, not chemical laden copycats. Consuming all those weird chemicals is preventing your body from functioning at it’s best. 1. Where are they found? When you go grocery shopping I give you my best piece of advice in this situation: stick to the outer edges of your store. Seriously. All the real foods can be found by skimming the outer edges. Not to mention its usually the produce section that you bump into first when you enter your supermarket. There is a reason! 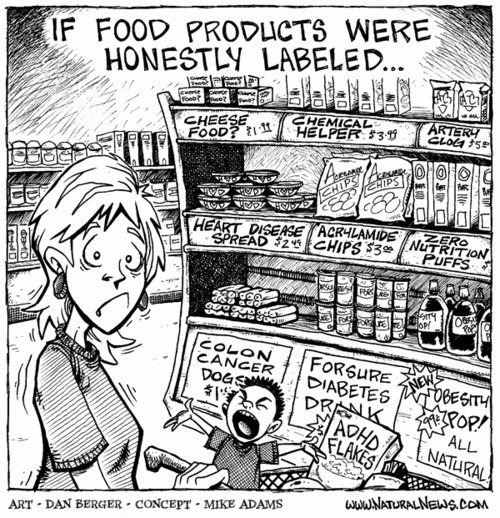 Typically all of your heavily processed foods can be found in the middle of the store on the shelves. Remember, they’ve been tampered with to extend their shelf-lives because the food industry knows how to make a buck basically. 2. Looking at your ingredients lists – the longer and more complicated it seems, the more likely the food has been processed to an unhealthy level. Stay away! 3. Knowing exactly what you’re ordering at restaurants and asking how an item is prepped. Sometimes chefs will add salt continuously throughout the cooking process instead of just waiting to do so at the end. This way you can be aware of exactly what’s going into your body. 4. Pick a real food approach and cook things yourself! 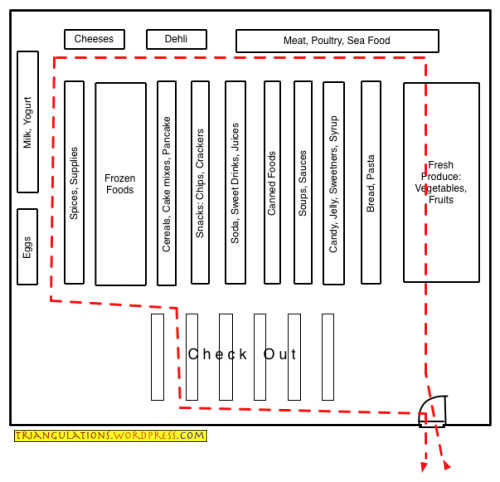 This way you know exactly how your food’s being prepared and what’s going into it. I hope this has clarified the whole idea of processed food into something more tangible. And, I hope its given you a reason to want to avoid it as much as possible! 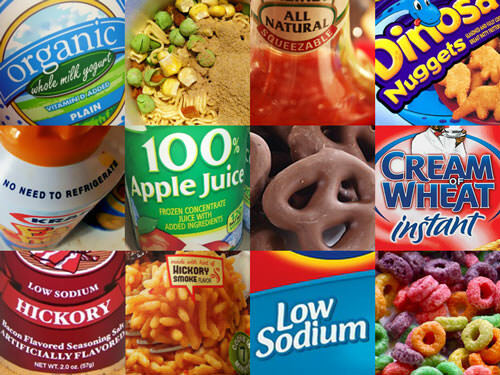 Question of the week: what’s one thing you can do to limit the amount of processed food in your daily eats?